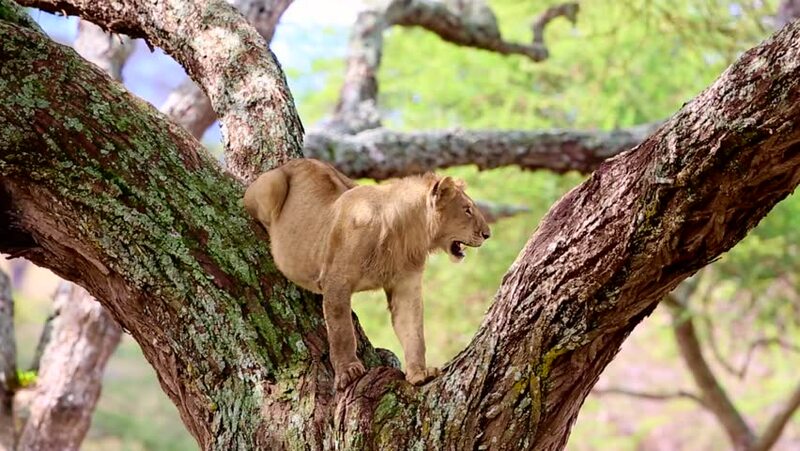 A young male lion pants while he watches for prey from his post in a tree overlooking the central Serengeti of Tanzania, Africa. 4k00:10Hyena in the wild looks around. Close-up. Thailand. 4k00:16A wallaby kangaroo sits in a field in Australia.